Audio CD ‘The Nursery Rhyme Collection 2 – Sina-Drums! Please note: Sina’s Nursery Rhyme Album is only available for Download. She was not involved in the recordings for the Physical CD that is offered here. But Sina’s new versions are based on this album. From a technical point of view, her new versions are drum covers of the Original Recordings as featured on the Original Album ‘The Nursery Rhyme Collection 2‘. Both the Original CDs and Sina’s new versions were mixed and produced by Mike Wilbury. This is the Original Audio CD. 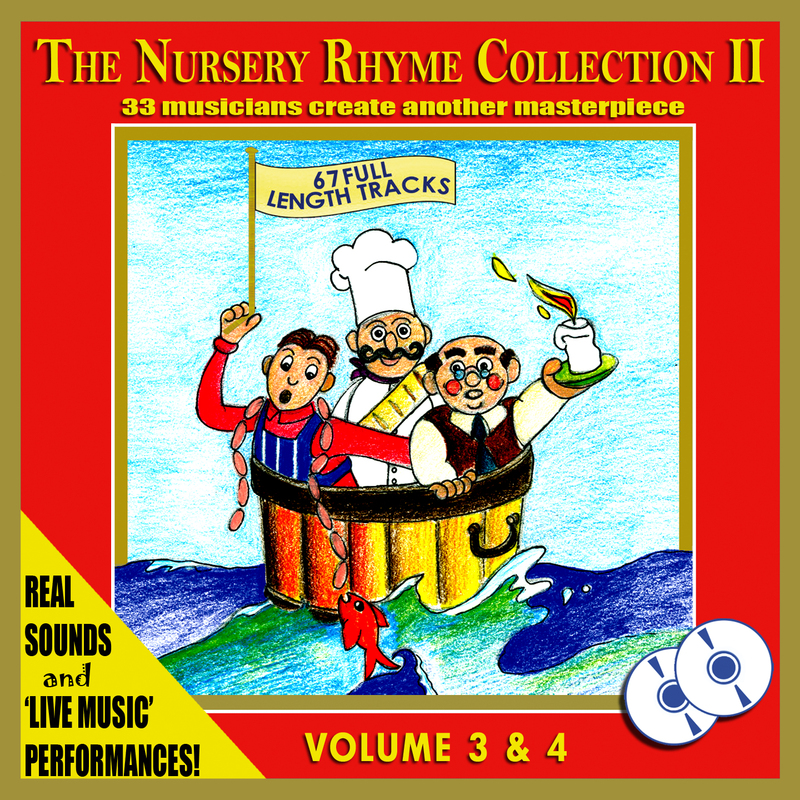 This is the second Collection of Nursery Rhymes (Double CD Album), launched in 2011 by Ian Watts & Mike Wilbury, featuring 33 musicians from the UK (including Rick Benbow, Mat Williams and many more). The CD will be shipped worldwide. Please allow some additional time for International Shipping. Is That Teddy Ready for Bed?